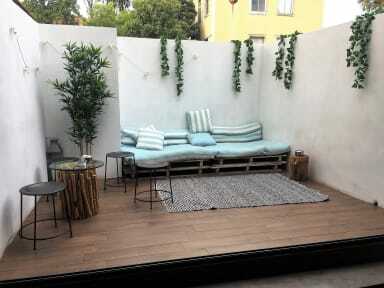 Back to Lisbon Hostel, is the newest dream Hostel in the city of Lisbon. Located in the well-known area of São Bento. 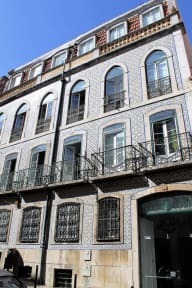 This Hostel opened in July 2017 in a fully restored 3 floors building from 1937 and guarantees a great Portuguese and Lisbon experience. We are located near to the Bairro Alto, the most vivid and most interesting spot of the night life of Lisbon. Near to our facilities you have some of the best landmarks of the city such as Miradouro de São Pedro de Alcântara, Basílica da Estrela, Fonte do Poços dos Negros or Miradouro de Santa Catarina, amongst other numerous landmarks of Lisbon. In addition, we have several bus stops and metro stops nearby, so you can take advantage of them and go to explore the whole city such as Jardim da Quinta das Conchas e dos Lilases or Parque das Naçoes, the venue of the 1998 World Expo. The shared rooms offer the possibility to be mixed or just for girls, but there’s always the twin privates and the double rooms for bit more privacy. The shared rooms are equipped with bunk beds and the private rooms with singles or couples beds. All beds have individual reading lights, electrical outlet and private locker. The rooms are clean and the beds stretched daily to ensure the client’s commodity. All floors have wc's and mixed showers and on the 3rd floor there is a bathroom with showers exclusively for women. The Back to Lisbon Hostel also has large communal areas where you can read, watch TV, socialize or just relax. There is also a modern fully equipped kitchen where guests can prepare their meals, a luggage storage room and a bar with indoor and outdoor area. Breakfast is served every morning in the dinning area. Breakfast: 8:00 a.m. - 11:00 a.m. Closing of the Bar: 11 p.m.
Really nice place with a helpful staff. The rooms, bathrooms, kitchen and social area are amazing. It's 25 minutes walking to the downtown. Funcionários super gentis e educados.